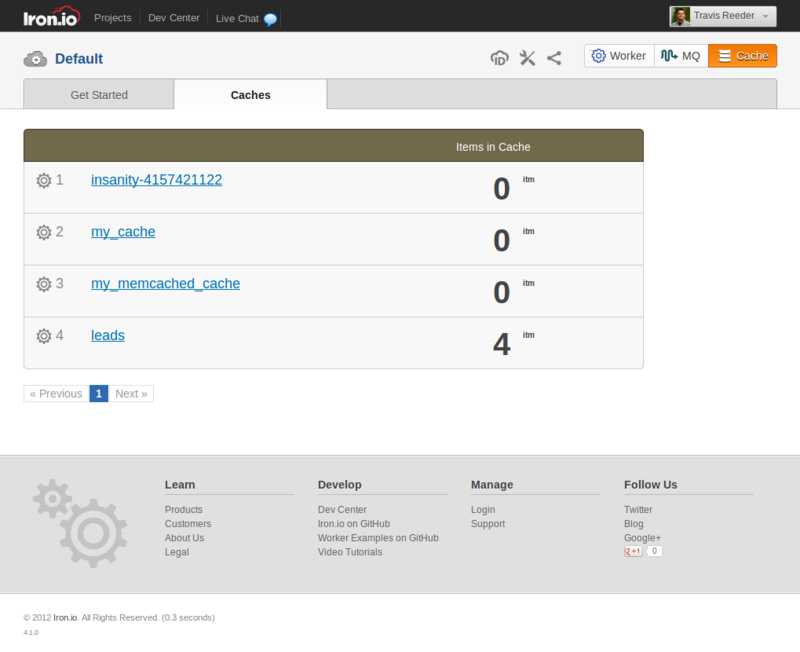 IronCache is an elastic, scalable, highly available, persistent and secure cloud based key/value store. IronCache grows with you on demand, doesn’t evict items (they only expire), and ensures you’ll never need to rebuild your cache. It’s great for persistent and reliable incrementors/counters, and can be accessed through an easy to use REST interface or memcached interface. Used it for short term persistence and long term storage without worrying about losing data. This will add the developer level addon for IronCache, which will let you test the add-on and play around a bit. There are other levels of the addon, as well. We recommend you upgrade before you use IronCache in production. IronCache has clients for a lot of languages, and you can always use the REST API (or write your own!). This means your existing Heroku stack should work without any changes. This is for the Ruby client, but all clients have the same operations. See the docs for your particular language. iron_cache_python is available in the Python Package Index as “iron_cache”. This means you can run pip install iron_cache or easy_install iron_cache from your command line to download iron_cache_python and all its dependencies. You can also download the source from Github. Once you have the source, you can run python setup.py install from the directory containing the source code to install iron_cache_python. Note: You will need the iron_core_python module for iron_cache_python to function. You can find full documentation at the Iron.io Dev Center. Issues should get logged with Heroku Support. You’re also welcome to stop by the Iron.io support chat room and chat with Iron.io staff about issues. You can also find more resources at the Iron.io Dev Center.